David Brin writes that the human penchant for self righteous indignation underlies the obstinate dogmatism, which prevents solutions to myriad world problems. In his open letter to scientists in the related fields, Brin hopes that new research may reveal that indignation is a clinically measurable physiological state, which is both pleasurable and addictive. Brin hopes that such a finding could discredit the voicing of indignation during political exchanges and make pragmatism and negotiation more fashionable than dogmatic purity and outrage. This website presents a new view of the mind, which explains the reasons for the emotional irrationality, which accompanies indignation. That insight also clarifies the origins and the supporting mechanisms of indignation. Sadly, greater public awareness of the roots of indignation may still not mitigate its unconscious capacity to trigger conflict. Intuition focuses the mind on a single strategy. An angry person can only see the reasons for anger. Anger is an unconscious choice by the system. The whole body responds to the emotion. Self righteous indignation does not gain energy by the thoughts of revenge. It is powered by the frustration that the offender "got away with it." Acts of revenge are powered by reward oriented behavior. Indignation also gains its power from the territorial instincts. The amygdala triggers the anger emotion. LTP makes the amygdala sensitive to imagined offence. Self righteous indignation permits anger without guilt. Accept the futility of righteous indignation, if it is within your nature. This website presents the reasons for emotional irrationality. 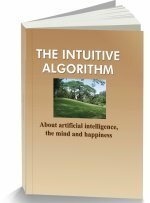 This follows an insight that the mind narrowly focuses on a single behavior using a repetitive procedure, a pattern recognition algorithm. We call the process intuition and it operates through the elimination of non contextual patterns. The nervous system stores massive memories of programmed responses to the experiences of millions of years of evolution as well as the acquired knowledge of a life time. Such memories are stored in the context of experienced emotions. 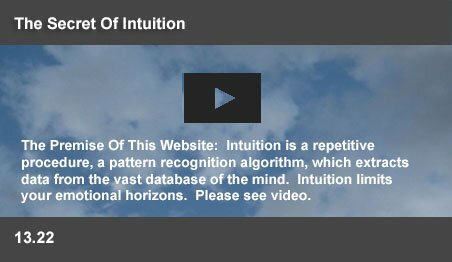 Intuition is the ability to extract a single contextual memory from this astronomically large data store through a process of instant elimination. Intuitive elimination works for the whole system. When an animal chooses to drink, its urge to eat grass is inhibited. Intuition acts in context. Emotions trigger focused behavior strategies by inhibiting alternate views. Anger brings memories of responses to battle. Fear brings memories of escape routes. Anger has access only to memories which relate to events where anger was experienced. It focuses the mind on the negative qualities of an opponent by inhibiting pleasant memories of her. In an emotional discussion, an indignant person has access only to memories of the reasons for resentment. He unconsciously overlooks and fails to listen to reasons for compromise. Intuition makes emotional viewpoints into blinkered perceptions. The human brain evolved as a survival mechanism, which operates mostly below conscious awareness. It is a triune brain, which was assembled by the evolutionary process as a hierarchy of pattern recognition nuclei - where reptilian, mammalian and rational human level systems switch controls between each other in milliseconds. It is not a consciously managed system. The system decides, acts and then informs you. Its rational prefrontal regions play a subsidiary role in decision making, unless consciously empowered through self awareness. The lower level systems within the brain contain an emotional network, which can envelop one in indignation, convincing one of the foul intentions of one's opponent. The impulses in this network manipulate moods and tense muscles, carrying people on a negative path. Indignation does not persist through dreams of the sweetness of revenge. When a person has been wronged, an act of revenge softens the sense of wrong. The individual may take revenge, when an opportunity occurs. Revenge is a reward oriented behavior, which acts when an opportunity occurs. Herd living encouraged the development of the revenge emotion to make a group aware that certain behaviors will elicit retaliation. The evolutionary object of revenge is to prevent social offenses. It is not the driving part of indignation, which persists because of the impossibility of taking revenge. Indignation persists, because the offender “got away with it.” It is the lack of such an opportunity, which sustains indignation. An opportunity to take revenge triggers reward oriented behavior. Indignation does not have the characteristics of reward oriented behavior. Professor Wolfram Schultz discovered that such behavior is promoted by the release of a group of neurotransmitters by neurons in the approach or avoid system, within the early reptilian part of the human brain. It is not the reward, but the expectation of a reward, which releases dopamine. Its levels rise even if your objective is something as simple as wanting to cross the road. Or a real opportunity to take revenge. While anger is known to reduce working memory and narrow viewpoints, increased dopamine strengthens forebrain activity, which brings clarity to objectives and makes a person feel more energetic and elated. Nature schedules the induction of such added focus and energy, timing it precisely to be sufficient to achieve desired objectives. Schultz recorded the timed release of dopamine by these neurons on detecting signals, which indicate the possibility of a reward. Schultz noted that the release increases, if the reward is greater than what is expected. It continues only for the predicted time period, when a reward can be expected. The release reduces at the end of this period. The releases stop if the rewards have become a matter of routine. Reward oriented behavior is generally sustained by the novelty of the reward. Self righteous indignation does not reduce if its causes become routine. Repetition of the causes of indignation actually intensify the emotion. Indignation is not a feel good state, but a destructive emotion, habitually triggered from the amygdala when faced with the prospect of pain, conflict or territorial loss. The main objective of the indignation emotion is to protect territory. It is triggered with escalating intensity, when an individual's boundary markers of economic well being, religious beliefs, or moral values appear threatened. The early reptilian part of the brain acts to protect territory. At the lowest level, the hypothalamus responds to territorial threats. A patient with severe brain damage, with the hypothalamus intact, was reported to growl or exhibit distress, when approached. Invisible instincts warn people, when their interests are threatened. An absurd argument that opposes positive suggestions for group well being may, in reality, arise from an effort to protect the interests, values, or beliefs of an alternate social subgroup. Built in and programmed responses, which coped with world, existed from the early beginnings of life. Nature developed the amygdalae as a defense response mechanism for animals. Recognizing danger patterns, the organs enabled animals to fight, freeze, or escape. As essential as the vertebrae, these organs protected fishes, amphibians, reptiles, birds and mammals from harm. Interpreting sensory signals, which detect a potential for pain or conflict, the organ sends impulses, which heighten the intensity of the fight or flight responses, raise blood pressure and heart beats. While it takes about 300 milliseconds for the combined wisdom of your prefrontal regions to evaluate a situation, the amygdala dispatches stress signals within 20 milliseconds. Impulses from the amygdala manipulate your moods and tense your muscles. Anger hardens your eye muscles before you even realize that you are angry. The emotion floods you with hateful memories, reminding you of all the annoying qualities of your opponent. LTP circuits in the amygdala add to your sensitivity to stress and continually sustain indignation with new awareness of fresh evidence. The amygdala has LTP circuits, which sustain indignation. Resentment does not persist, because it is pleasurable, but because LTP circuits become over sensitive and escalate responses to imagined and real stress points. Normally, a single pulse of electrical stimulation to a presynaptic neuron will cause subdued excitatory potentials in the postsynaptic cells. But, when a high frequency train of stimuli is delivered to the presynaptic fibers, the postsynaptic cells will keep firing for long periods of time in response to a single-pulse stimuli from the presynaptic cell. The postsynaptic cell continues to be excited for long periods on receiving just a single pulse stimuli from the presynaptic cell. In 1975, Douglas and Goddard proposed "Long Term Potentiation" as the name of this phenomenon. LTP is persistent, lasting from several minutes to many months. LTP induced by high frequency stimulation appears to be the same as LTP induced by stress. LTP creates a speed dial circuit, which becomes significantly more sensitive to faint neural messages. A large population of LTP circuits in the amygdala support the unique persistence of the indignation emotion. LTP triggers indignation at hints of territorial stress. The early reptilian brains decided to attack or retreat, in response to smells, fear and anger. Further evolution led to the mammalian brain, where social emotions controlled herd behavior. Guilt and shame punished selfish behavior, which violated the moral code of the group. Anger was seen to be effective in reproving unsocial behavior, or even unwelcome beliefs. For group protection, territorial instincts justified anger and indignation. “Righteous” came to mean acting in accord with divine or moral law or free from guilt or sin. Thus “righteous indignation” meant “retribution, retributive justice; anger and contempt without guilt.” It was morally right or justifiable to act based on an outraged sense of justice or morality. “Self righteous indignation” was applicable, when the observer disagreed with the reasons for indignation. It implied “confident of one's own righteousness, especially when smugly moralistic and intolerant of the opinions and behavior of others.” But, in the end, indignation takes a narrow view of the world. It helped expand the boundaries of the nation states and spilled rivers of blood as recorded in the annals of human history. We live in a partisan world, where myriad social groups are impacted by the varied political decisions, social mores, and cultural preferences of millions of people. A majority of people feel indignant about concepts, which may destroy their way of living, impact their well being and comfort, or offend their deeply held beliefs. In conversations, television channels and newspapers, they receive repeating signals, where self reinforcing LTP circuits in their amygdalae recirculate their anger. Indignation falls into infinite loops around narrow aspects of the problem. Controlling indignation is vital, because it is more a problem than a solution. Indignation escalates quickly and ruins relationships. It spoils the chances for a comfortable coexistence with your opponents. Change requires a belief that anger is a problem. If you believe that “righteous indignation” will produce results, your efforts to bring about a compromise will fail. By accepting the futility of anger, the control of anger suddenly becomes possible. Your amygdala becomes quieter, when your common sense opposes its outbursts. Unfortunately, controlling anger requires an ability to become self aware. The indignant person has no awareness of having a biased perspective, attributable to internal rather than external causes. Millions of people lack a clear understanding of the unconscious mechanisms, which underlie their anger. Eugene Gendlin was successful in dealing with the problems of anger with prison inmates, the elderly and in patients with health related issues. He found that only some clients benefited from therapy. These individuals were less defensive, more self-disclosing and willing to attribute difficulties to internal causes. Even therapy may not benefit those who are unable to become self aware. Fortunately the extensive spread of the media enable people to grasp the pains and sorrows of other groups. Compassion quiets indignation. Compassion may gradually conquer indignation. This page was last updated on 08-Sep-2016.